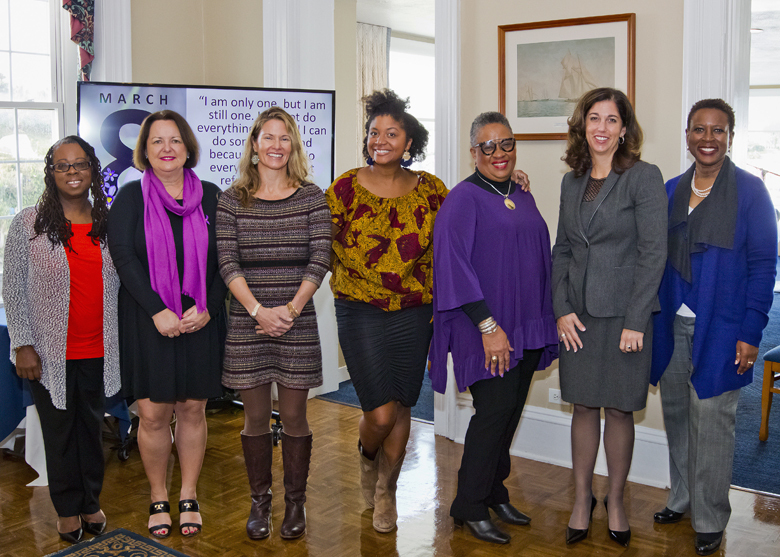 The Ministry of Social Development and Sports and the Human Rights Commission co-hosted an International Women’s Day Breakfast Conversation Panel yesterday [March 8] featuring six female entrepreneurs who, along with the audience, considered various questions including barriers to achieving gender equity. A spokesperson said, “Sharon Bartram, owner of 27th Century Boutique, has 43 years of experience in the fashion business. Ms. Bartram says she proudly hires locals and encourages young people to pursue a career in retail. “Cheryl Kerr, also known as “Sistah Saute”, owns and operates Personally Yours Catering. She is the author of the vegetarian cookbook titled Soul Food with “Sistah Saute” which is in its third printing. 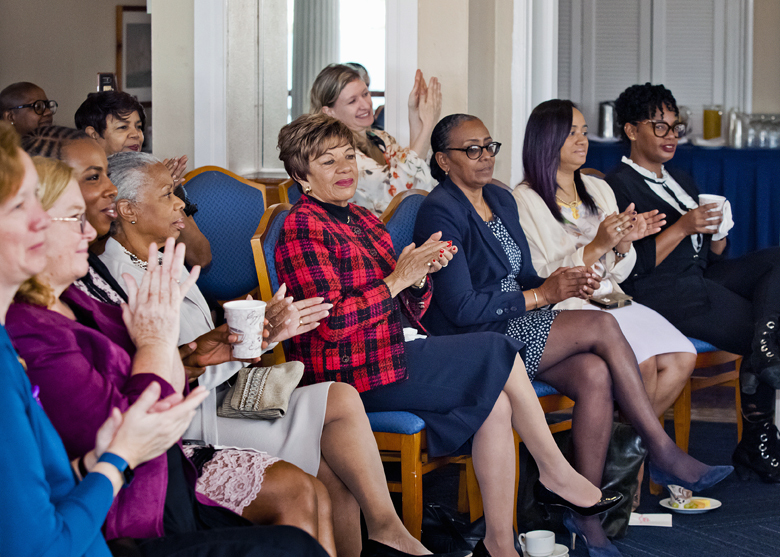 “Alison Morrison, Managing Director of Oyster Consulting [Bermuda] Ltd. started her career in the financial services industry in 1986 and decided to establish Oyster Consulting in 2012. She says that she enjoys mentoring young girls. “Mandy Smith is an entrepreneur who launched Swimming Instinct, a ‘learn to swim’ program for students aged 3 to 12 years, which allows her to set her own schedule. “Jenny Smatt is the President and Senior Consultant of ONTRU and has over 15 years’ experience locally and internationally in strategic planning, human resource management, training and development and business process redesign in Bermuda, Europe and the Americas. Project Coordinator at the Ministry of Social Development & Sports Jane Brett, one of the organizers of the event, said, “Despite the diversity of professions represented, several similar themes emerged including the power of following one’s passion and being your own brand, resourcefulness, fostering confidence, seeking help from the right advisers, staying patient and disciplined and pursuing training when necessary. 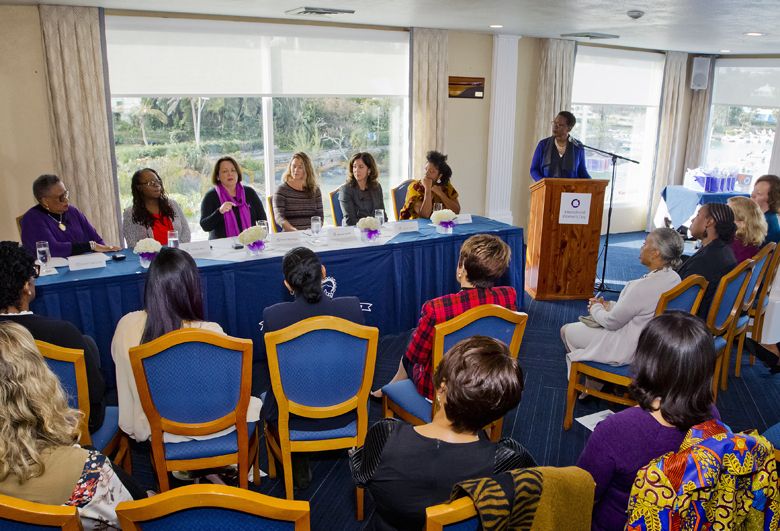 “The talent and contribution reflected in the six panelists represents the extraordinary pool of female entrepreneurs on the island, which compliments and strengthens Bermuda’s development. “March 8th is a day celebrated and supported globally by industry, governments, educational institutions, community groups, professional associations, women’s networks, charities and non-profit bodies, the media and more. It celebrates the economic, political and social achievements of women, past and present. “It is an occasion for looking back on past struggles and accomplishments and more importantly, looking ahead to the future. The International Women’s Day [IWD] has its roots in the socialist movements of the early 20th Century when women were campaigning for the right to vote. The oppression of women and the persistent inequalities led women to become more vocal and active in campaigning for change. “Locally, progress has been made towards achieving equality between men and women. 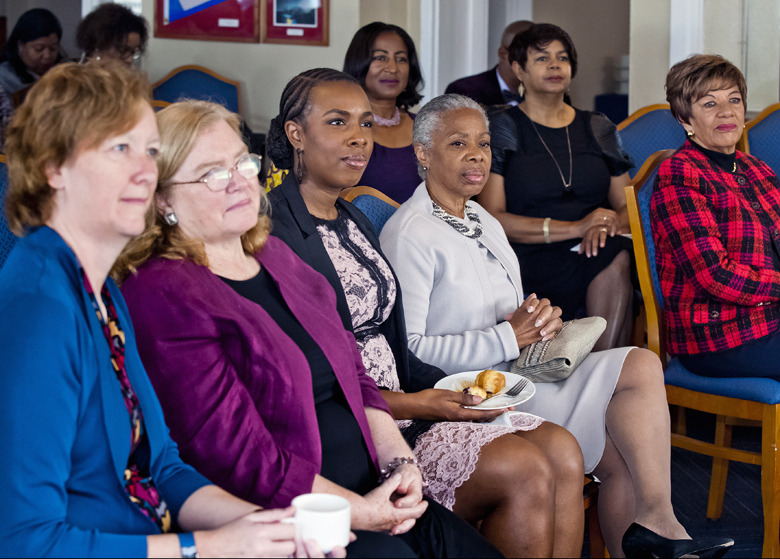 Last year, on March 16th 2017, the UN Convention on the Elimination of Discrimination Against Women – or ‘CEDAW’ – was extended to Bermuda. CEDAW, often known as a “Bill of Rights” for women is one of the core human rights international treaties that requires countries to eliminate discrimination against women and sets out a comprehensive framework for tackling gender equality.